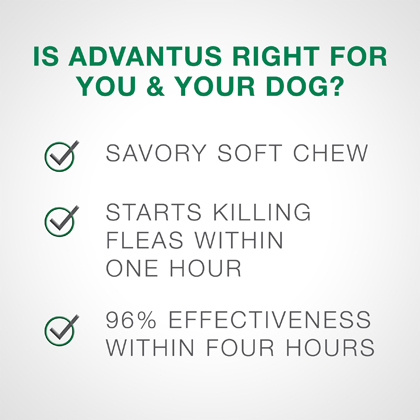 Advantus Oral Flea Treatment Soft Chews for Dogs are not for human use. Keep out of reach of children. Weigh your dog before giving this medication to make sure you are using the right size for your dog. Do not give to puppies younger than 10 weeks of age or to dogs weighing less than 4 pounds. Do not give more than one soft chew daily. Possible side effects include decreased appetite, decreased energy, soft stools, and difficulty walking. 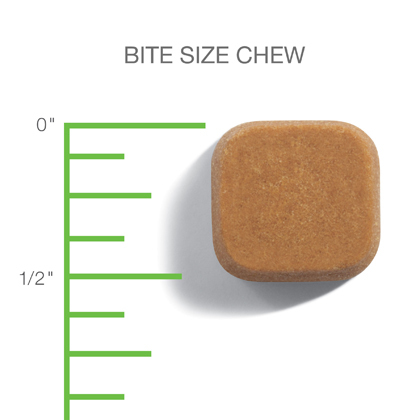 Contact your veterinarian if your dog consumes more than one soft chew in a day. 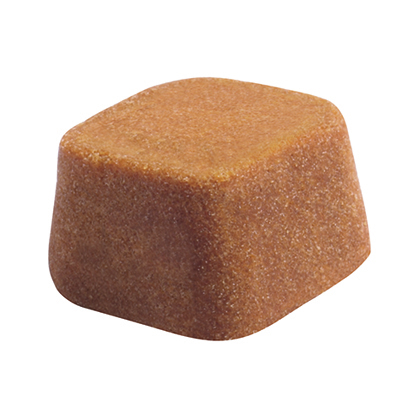 Advantus Oral Flea Treatment Soft Chews for Dogs has not been tested in pregnant or nursing dogs. Advantus Oral Flea Treatment Soft Chews for Dogs are available in two sizes: 7.5 mg for dogs weighing 4-22 lbs and 37.5 mg for dogs weighing 23-110 lbs. 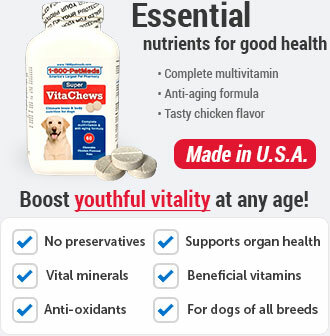 Both are available in bottles of 7 or 30 soft chews. Puppies and dogs over the age of 10 weeks and weighing 4-22 lbs should be given one 7.5 mg Advantus Oral Flea Treatment Soft Chew per day. 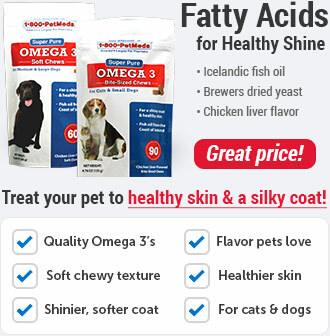 Dogs weighing 23-110 lbs should be given one 37.5 mg Advantus Oral Flea Treatment Soft Chew per day. 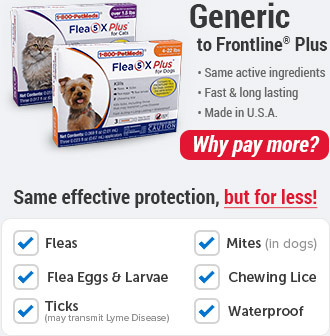 A single dose kills adult fleas on your dog. If your dog becomes re-infested, you can safely repeat treatment as often as once per day. Seek emergency veterinary medical treatment if an overdose is suspected. Side effects seen with this drug include vomiting, decreased appetite, decreased energy, soft stools, and difficulty walking. Your pharmacist has additional information about Advantus Oral Flea Treatment Soft Chews for Dogs written for health professionals that you may read. Call your veterinarian for medical advice about any side effects. You may report side effects to the FDA at 1-800-FDA-1088. 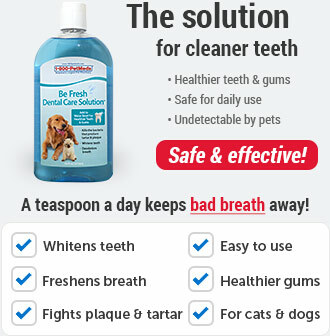 Administer one Advantus Oral Flea Treatment Soft Chew to your dog or puppy once daily according to the dosage chart below. Watch carefully to make sure your dog swallows the soft chew. 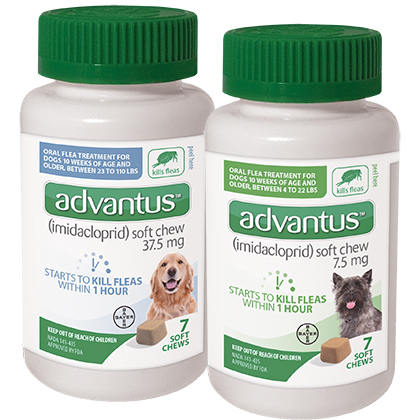 Advantus Oral Flea Treatment Soft Chews for Dogs may be given occasionally when you see adult fleas on your dog, or daily as needed. 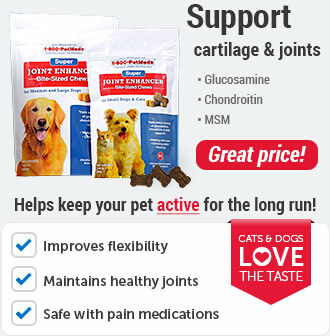 Do not give your dog or puppy more than one soft chew per day. 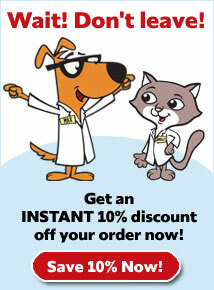 UseHome & Yard Flea Treatmentsto control fleas in and around your home. Advantus Oral Flea Treatment Soft Chews for Dogs start to kill adult fleas within one hour, but will not kill flea eggs or larvae. Store at temperatures between 68 and 77F (20-25C).